How do i decide whether to repair of replace my chipped or cracked windshield? Your ability to see clearly without obstruction is obviously the first priority. If the damaged area is not in your direct line of vision on the driver side, and is smaller than a quarter in size, then the windshield may be safely repaired. 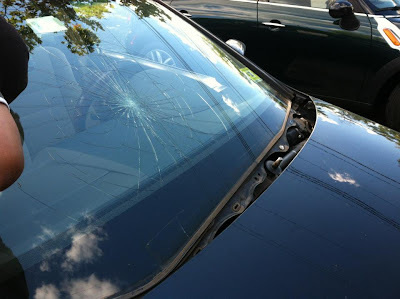 Insurance companies recommend that you have the windshield replaced if the damage is in your lineof vision. While the process used to fix chips or cracks in the windshield will stop breaks from getting larger, the repaired area will not be perfectly clear. If you own a new car, you may not be satisfied with a repair because of this slight cosmetic blemish in the glass. in this case, windshield replacement is your best option.Most insurance companies will waive your deductible if you have your glass repaired. 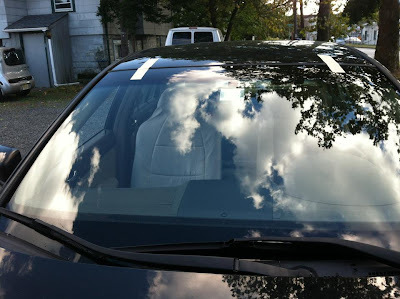 Sun Auto Glass Repair & Tint Specialist handles claims with all insurance companies such as allstate, statefarm, geico, travelers, liberty mutual, highpoint, nj manufacture progresive and many more.We work with your insurance company to ensure that your claim is handled correctly for a timely repair. 07' Honda Accord 4DS Damaged windshield. 07' Honda Accord 4DS Removing damaged windshield. 07' Honda Accord 4DS Brand new windshield. I have two semi-large chips on my windshield that I would like to have fixed for me. I find that it is much harder to concentrate on my driving when I am continually distracted by the chips. For my safety, I feel it is important to have them filled in soon. I see. 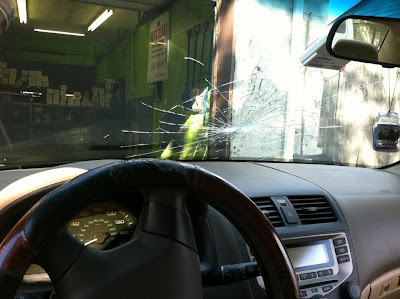 Let me introduce with Car Glass Repair and Replacement Azusa is a Quality Auto Glass Replacement & Chip Repair. Same Day Service. Life-Time Warranty. Sometimes it can be hard to determine whether you should fix a crack or replace the entire windshield. I had a chip in my windshield that was borderline too big to repair. The guy showed me some sympathy though and went ahead and fixed it for me. It is just so much more to replace it. So if you don't have to, go for the repair option instead. Apex auto glass service offers auto glass replacements throughout Viriginia and replaces the side windows for car..
Hi, Thanks for your great post, there are much nice information. You can also try custom window tint utah which will protect you from UV rays and many more. What should one know about auto glass replacement? My windshield got nailed with a rock on the free way last night and I don't know what to do. It's hard when there are so many ways you can fix it, and I just want to make sure that it gets fixed right. This helped a ton and I hope that I can get this taken care of asap. I need to replace a windshield? Great blog information..Thanks for sharing.